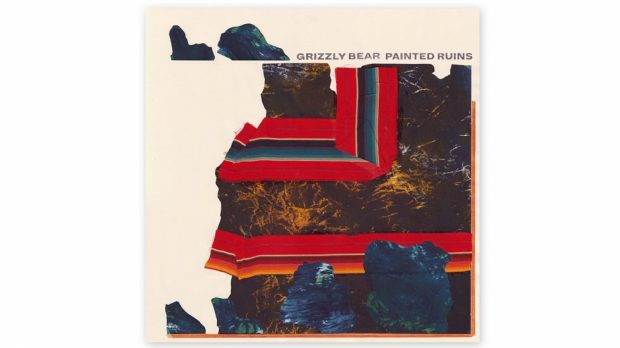 After a staggering five-years devoid of a full-length album, Brooklyn-based indie rockers Grizzly Bear finally let the curtain fall to reveal their loose limbed and slightly chaotic fifth album Painted Ruins. The colourful sling of tunes is the first significant drop we’ve heard from the band since their richly detailed and critically acclaimed album Shields. Featuring everything from slapping bottoms to a bearded man sleeping buried under the sand, Grizzly Bear have already released a number of singles off the album — such as Neighbors and Mourning Sound — with fun and appropriately absurd music videos in the lead. With a touch of personal melancholia, Painted Ruins is a stylistic exploration of kooky synths, harmony and rhythm. It possesses a brain-teasing aura of infinite motion that tinkers through your mind as evolving tempos and morphing levels of intensity within the tracks makes for a fascinating listen. Humming to life with an orchestral drone, opening track Wasted Acres greets your ears with an intricate sound and moody tang that’s laced throughout. Tender vocals from lead singer Ed Droste quickly dissolve into a hefty beat transforming the entire tone and pace of the song, as Daniel Rossen sings the words “Were you even listening?” in an almost mechanical monotone. It’s a clever, sharp twist that gives substance and dimension to Grizzly Bear’s progressive new sound. Tempo and rhythm are everything when it comes to Painted Ruins and this track serves it up perfectly. While maintaining their Grizzly Bear-esque essence of thoughtful melody and subtle complexities, Wasted Acres is a dip into new obscure and adventurous waters for the band. With the rolling of a drum Four Cypresses delivers the full weight of chaotic synth and harmony hinting at elements of 1970s psychedelia. It’s a fragmented track that is particularly enjoyable in the moments where the crescendo of instrumental interludes dies down and the continuous beat carries on without embellishment under Rossen’s vocals. The lyrics on this track delve into less internalized content hinting at concepts of political disarray, war and it’s effects. Immediately propelled by bass and percussion, Ed Droste takes over the vocals again in Three Rings to journey into an anguished warp of emotions surrounding a failed relationship. The track has a colder, engine-like sound to it with screeching guitar and lurching beats as Droste explores a yearning to soothe the sting of heartache through reconciliation. Cut-Out is an unlikely stand-out and a definite highlight leading the second half. The track begins with an atmosphere of clarity and lightness as though the sounds are floating and twirling in the breeze to then slowly build and barrel into a trashing instrumental blowout. The shift in gear is more organic than on other tracks and manages to manipulate your senses as you listen, tilting between high energy and tranquillity. Undeniably Painted Ruins is a triumph stocked full of observant and thought-provoking songs that explore both an inner turmoil and the troubles of the exterior world. The nostalgically 60s and 70s inspired, genre-bending album is one that deserves to be placed on the turntable and listened to at length. At times disorienting, Painted Ruins acts as an emissary to a cryptic world coloured by the tint of quirky psychedelic synth and staggered rhythm.